RIGHT SPEAK: Supreme Court to Weigh-In: When is a Rant a Threat on the Social Media (Facebook)? 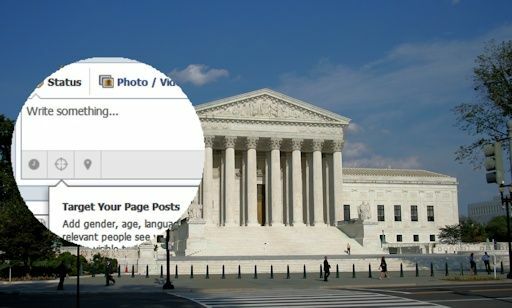 The Supreme Court agreed Monday to consider a classic free speech conundrum for the 21st century: When do threatening comments made on social media sites such as Facebook cross the line into criminal activity? "Did you know that it's illegal for me to say I want to kill my wife?" he wrote in one of many posts. "It's illegal. It's indirect criminal contempt. It's one of the only sentences that I'm not allowed to say." The lengthy diatribe copied nearly word-for-word a satirical sketch by The Whitest Kids U' Know comedy troupe, concluding with Elonis' own summation: "Art is about pushing limits. I'm willing to go to jail for my constitutional rights. Are you?" In seeking the high court's review of his conviction, Elonis' attorneys contend he never intended actual violence. What the justices have to decide is whether that matters, as long as a "reasonable person" would feel threatened. The court's precedent for such cases is now 11 years old. In 2003, the Supreme Court ruled in Virginia v. Black that a state law equating cross-burning with intimidation went too far, reasoning that not all cross-burning was meant as a threat. Justice Clarence Thomas, the lone black jurist, dissented. Since then, lower state and federal courts have split on what constitutes a threat — the perpetrator's subjective intent to threaten, or anyone else's objective interpretation. Most but not all courts have agreed it's the latter standard, used to convict Elonis.